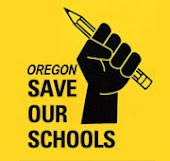 Oregon Save Our Schools: Save Money, Gain Time, Dump SBAC! Save Money, Gain Time, Dump SBAC! Last week the Oregon Legislature’s Joint Committee on Student Success unveiled its plan to increase funding and improve public education. Oregon Save Our Schools would like to suggest a way that the legislature could save a little money and improve education: assess Oregon’s assessment system. 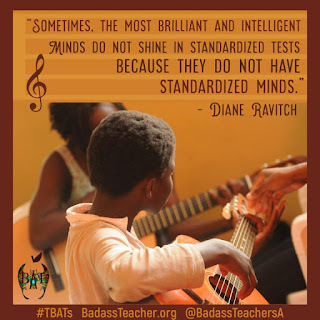 The most egregious problem with the state assessment system is the Smarter Balanced Assessment (also known as SBAC, coming out of the Smarter Balanced Assessment Consortium). This is the assessment that students in grades 3 through 8 and grade 11 currently take to fulfill the federal requirement for annual testing. SBAC is a tremendous drain on time and resources if the vast majority of Oregon’s educators are to be believed. While there is a federal requirement for annual testing in those grades, the federal government does not require a specific assessment. High school students and families have opted out of SBAC to the extent that the state is considering many other options for the federally required grade 11 assessment but elementary students will still be subjected to the months long annual slog through the Smarter Balanced Assessment if our legislators don’t act to change that. SBAC consists of two tests for English Language Arts (ELA) and two for Math. It takes an average of 8 hours to complete the four tests. (Reminder: “Average” means that 50% of kids will take longer than this to finish the tests. This includes third graders, typically 8 and 9 year olds.) SBAC is given for months at a time in the elementary school, testing grade level after grade level. It can overshadow every other activity in the school during those months, becoming the complete focus. Staff are often pulled from their regular duties to make sure that all students finish, including students who have been absent on one or more of the many scheduled testing days. Those students are in turn pulled from regular class time to finish. This inappropriate focus on test scores has also caused loss of time in physical activity, the arts, music, and other content areas, including Science and Social Studies in the elementary grades. Finally, because of the increasingly intense focus on a single test score, many districts have decided to purchase “interim assessments” to measure “progress” towards passing Smarter Balanced. Some of those assessments can be purchased from SBAC but also include assessments like iReady or MAP testing. Portland Public Schools alone recently signed a $1 million contract with NWEA for delivery of MAP testing. These interim assessments are typically given up to three times a year and take between one and three hours for students to complete, again in both ELA and Math. Add those hours to the many hours of SBAC testing. We also have the ELPA, or English Language Proficiency Assessment, for English learners (who still have to take the ELA even if ELPA deems them not yet English proficient). And then there’s the Oregon Kindergarten Assessment …the list goes on and on. Teachers have reported to Oregon Save Our Schools that between 15% and 25% of their instructional time is now being taken up by standardized testing, depending on the tests required by the federal government, the state of Oregon, and their local school district at each grade level. According to the Oregon Department of Education’s (ODE) own reports, ODE’s budget has increased by 76% since 2013 and 54% of the budget of the Office of Teaching and Learning within the ODE is devoted to assessment. And of course now we have the data tracking system for “cradle to career”. A lot of money is being spent for very little result. Oregon Save Our Schools fully supports funding Oregon’s schools to at least the level of the Quality Education Model (QEM) but we do not support spending money on things that bring nothing of value to students. Oregon Save Our Schools believes Oregon leaders should be following the lead of New Mexico’s governor and suspending the Smarter Balanced Assessment until the role of the statewide summative assessments in Oregon’s education system can be evaluated with input from students, parents, and educators (SB 428 would do just that) and a more appropriate assessment system can be implemented. We would suggest that the role of the Oregon Kindergarten Assessment also be thoroughly examined, along with current standards for Pre-K to grade 3. Many educators believe these standards have led to practices that are not developmentally appropriate for young children. Indeed, the assessment itself may be an inappropriate practice. We get nothing for the money spent on these assessments except data that does not advance the learning of individual children. We believe that education dollars could be better directed towards things children need rather than an assessment bureaucracy that not only doesn’t serve children but may in fact be harming many. Legislators, we are calling on you to step up and be the heroes our students need. Let’s spend our children’s precious time engaged in learning and our money on providing the staff and resources necessary to deliver to them a well rounded educational program. Kids need counselors, PE, librarians, music, the arts, and recess time, not ever more and more testing. Fund our schools and fund the right things.